"I'm so impressed by you and so worried for you at the same time." 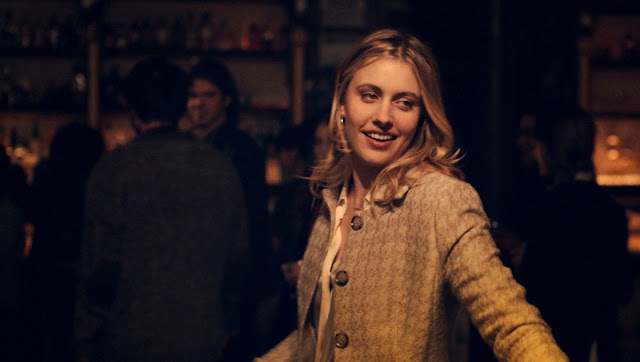 Director Noah Baumbach and his co-writer/muse Greta Gerwig continue to make strong comedic hay together. Mistress America, their third collaboration after Greenberg and Frances Ha, is a joyous experience as a millenial twist on the screwball comedy full of quippy banter, zippy one-liners, and an abundance of genuine laughs. Gerwig seems incapable of giving an inauthentic performance as the stepsister-to-be and mentor to our college freshman protagonist, newcomer Lola Kirke as budding writer Tracy. Tracy's uncool, lonely demeanour leads her idolize Gerwig's Brooke, a wilfully naïve woman about town, and her free spirited nature. Gerwig is able to deliver laughably absurd, topical dialogue like, "He’s the kind of person I hate, except I’m in love with him," or "I would love to get into the app business," with a remarkable grace and non-ironic self-awareness that makes Brooke so charming and likeable. Mistress America is a winner despite on the nose references and riffs on our current social media obsessed culture that shouldn't work but do. The jokes and commentary are fairly on point and altogether gel in the fast-paced, loose comedy of errors. Our characters, written with verve by Baumbach and Gerwig, are genuinely endearing and earnest. It's also a fairly sharp rumination on undergraduate life and the hollowness of intellectual youth culture in general.